Vector illustration of a happy family in a portrait. There are a couple with their two kids and their parents. 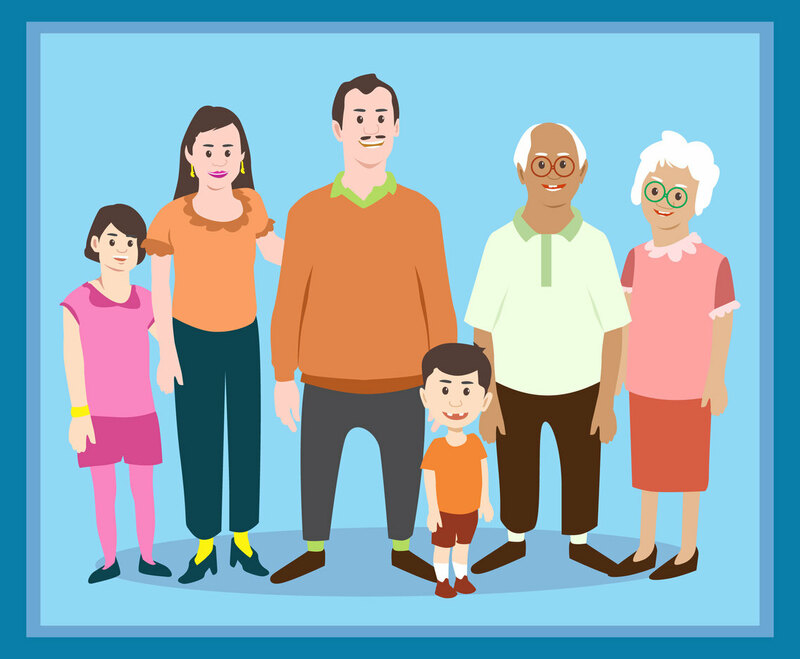 The illustration always good for design projects that are related to family welfare program, health program and many more.